What's the weather forecast for Le Massif this week? Check out the long-range weather forecast for Le Massif, including temperature, predicted snowfall and wind details at the summit and base throughout the day for the next week. Tab over to overview or Hour by Hour for alternative views of the Le Massif weather forecast. Love this mountain. The new snow has covered the icy patches and opened up all the runs. Enjoy!!! skied Friday, Saturday and Sunday. Great conditions and a great way to end my season. would definitely come back! anyone have a new report on contains? heading up for the weekend and would appreciate it. everything its made out to be..steep,fast and nice grooming. lodges seemed to be virtually new,nice suspension bridge linking lower lifts to gondola...and especially great job by ski patrol assisting my wifes first injury in 30 years of skiing, thanks so much!! Beautiful spring conditions today. First time here and worth the trip. 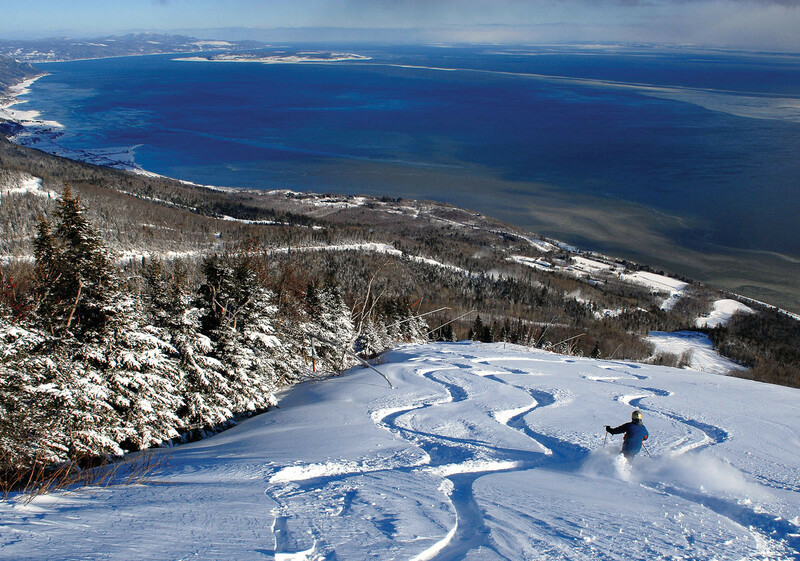 Hit Mont St Anne and and Le Massif same trip. You will not be disappointed. Le Massif is all its cracked up to be. Soft, fast, long trails. Only patches were at the bottom of the expert side (Maillard) at around noon. Snowed 1/3 inch, but last substantial snow was 4 days ago, and it skied like it was the next day. Best East Coast mountain hands down. Might be the nicest snow I've ever skied today. Not crowded at all. Heavy traffic while hiking into the glades, no worries though there's plenty of snow to go around.